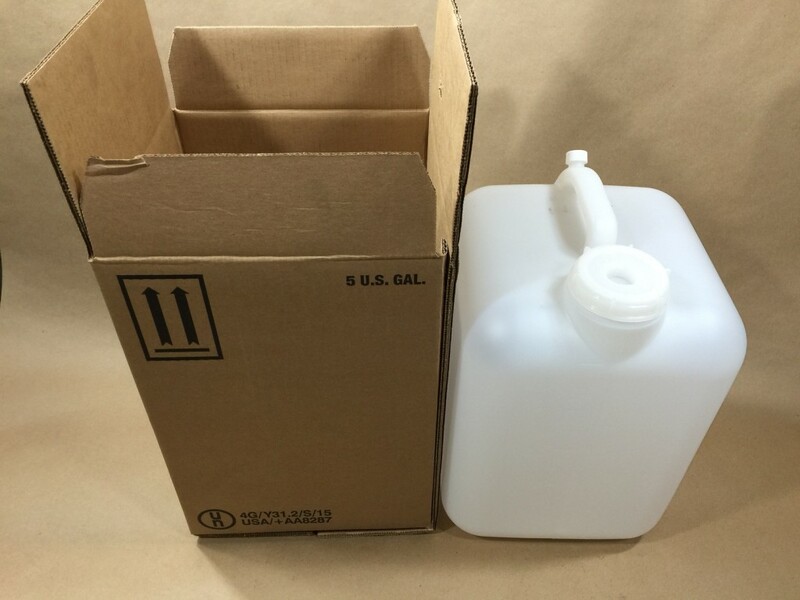 Among the 4G packages we stock is a UN4G box with a 5 gallon rectangular plastic tight head container. 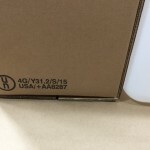 This type of package is known as combination packaging. The UN designation is UN4G/Y31.2/S. 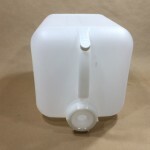 The 5 gallon jug or tight head container is rectangular in shape and is made from natural colored high density polyethylene. 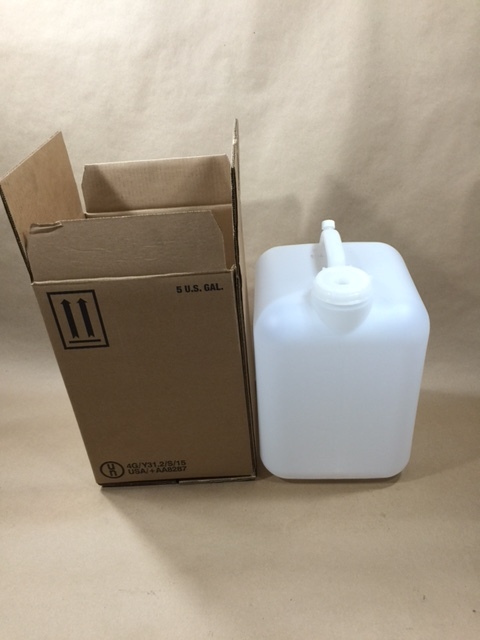 We have heard this type of jug referred to as a deltangular and also a 5 gallon bottle, however it is actually called an E-Tainer. 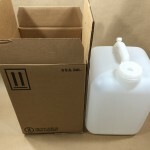 The 5 gallon jug comes with a 70mm cap and an 18mm vent cap. This 70mm cap has a 3/4″ center reducer. 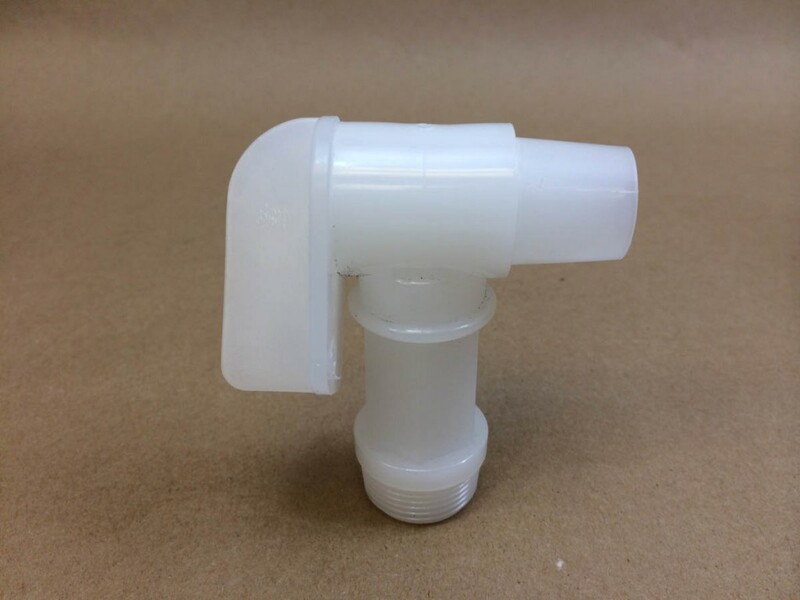 The reducer can be removed and a 3/4″ faucet (if needed) can be threaded into the cap. This type of package is used for industrial chemicals and much more. This 5 gallon jug has graduation marks at the 1, 2, 3 and 4 gallon levels. As always, compatibility of the product with the packaging is the responsibility of the shipper. Please call for a sample to test with your product.